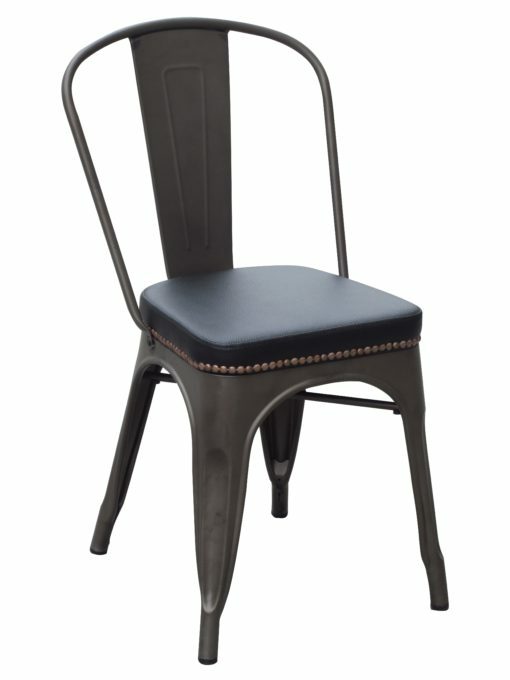 Black vinyl upholstered dining chair with a soft copper metal finish has brass stud details that elevate the design of this chair. This upholstered dining chair with a soft copper metal finish has brass stud details that elevate the design of this chair. Powder-coated metal frame, mar-resistant finish. The legs have protective feet to prevent damage to flooring.